A Rare Opportunity. . . to enjoy the ultimate lifestyle in this renovated to perfection classic contemporary penthouse w/ dramatic lake & city views. 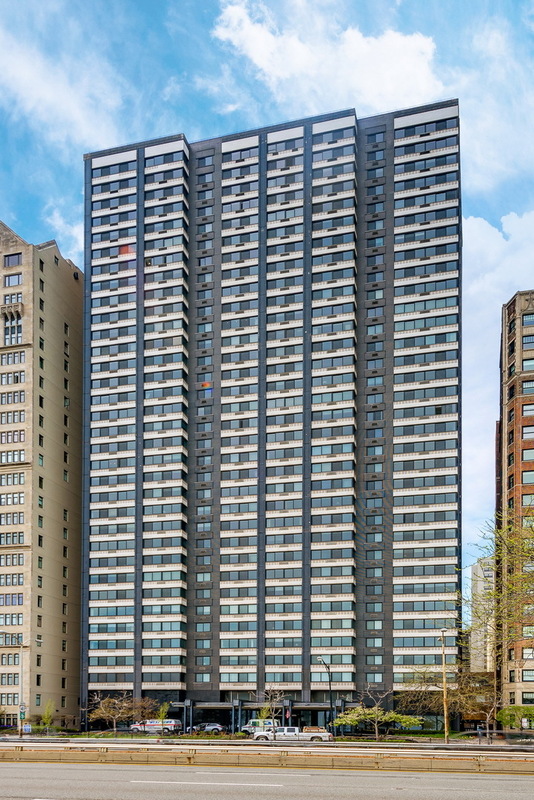 This 3 unit cmbd home -with 3 bdrms, has stunning views of the lake, Navy Pier, sunrises & sunsets & unobstructed city views from the N, E, S & W. Watch Navy Pier fireworks on July 4th & New Year&apos;s in the comfort of your home! This light & airy unit has a sophisticated open flr pln with high ceilings, gracious foyr, cstm cabinetry, onyx, marble, granite & cherry flrs & wdwrk & a lndry rm. The flr pln of this premier unit is perfect for entertaining, w/ a gourmet kit & butler pantry. The formal lr & dr offer lux living & entertaining space. The paneled library has N,W & E views & cstm blt-in bar. Enjoy 2 mstr bdrms w/ an abundance of closets & updated full bths & a 3rd bdrm & bth. Amenities include 24 hr drmn, attd gar w/ valet pkg, exr rm, rftp party rm & deck w/ lake & city views, on-site mgr & 3 sto lockers. Pets under 25 lbs welcome.